A great P.O.P. Promoter in grocery stores, restaurants, cafes, car dealers, garden stores, etc. Imprinted on Hi-Gloss Rigid Vinyl. 10 mil. 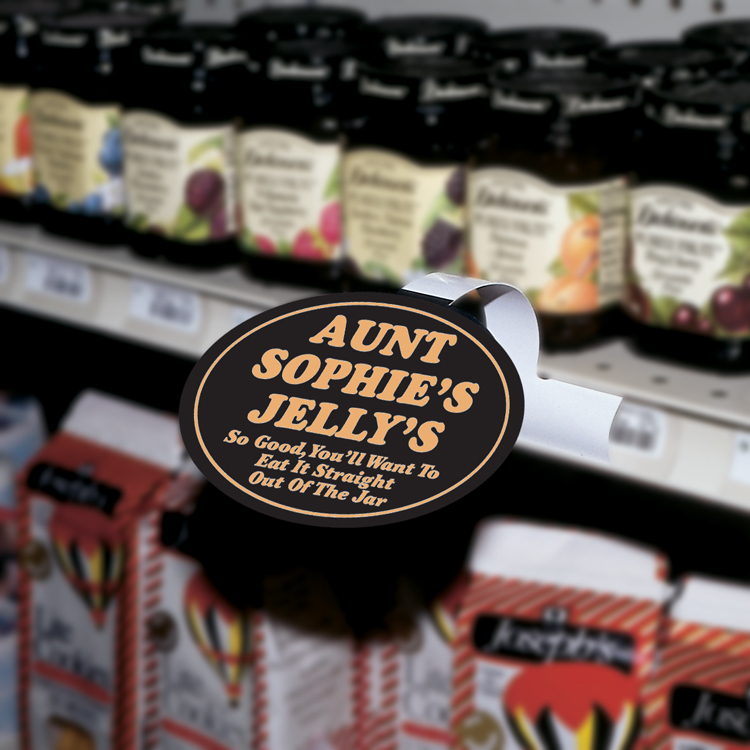 high gloss White rigid Plastic Oval Shelf Dangler. Great for P.O.P. advertising! Adhesive strip available for extra charge. Advertisers include: retail, grocers, car dealerships, garden stores or pharmacies. Imprint Size: 4-1/4" x 3-3/4"
250 qty.= 5 lbs/ 1,000 qty = 18 lbs. Production: 7 -15 business days. Full Color option available at product code: KP-614. Custom sizes and custom shapes available on Kwik-Quote™! Made in the USA!